Hailing from Germany and regularly living on Ibiza for the past 15 years, it comes to no surprise that Miss Disk's influences have been numerous. So moving on from the dance floor to the DJ booth was nothing more than natural progression. In only a small period of time she moved from spinning at parties in the Netherlands and Germany to Ibiza. In 2007 Miss Disk's talent and ability to seamlessly mix an extraordinary range deep and tech house beats didn't go unnoticed. She was discovered by several international radio stations like Ibiza Sonica, Ibiza Global Radio, Proton and Friskyradio with great feedback. 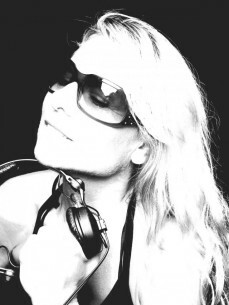 Miss Disk was chosen to play with the spanish party "SupermartXe" in London and she was the first female DJ at the famous Cologne afterhour "GreenKomm". She played her quality dance music sets in influential clubs like km5, Blue Marlin, El Divino and alongside Henry Saiz, Dave Seaman and 16bitLolitas. Miss Disk is a regular at Ibiza’s infamous villa parties with i.e. Carl Cox. Beginning 2010 Miss Disk started co-hosting her own radio show "Paradigm Deep Sessions". This monthly radio show is serving up the finest blend up of deep/techhouse at Friskyradio with an increasing fan base. Since 2012 Miss Disk is working as A & R with the new Denver (U.S.) based label 5 and Dime recordings and released her own productions with great success.